The Personal Super option is here! 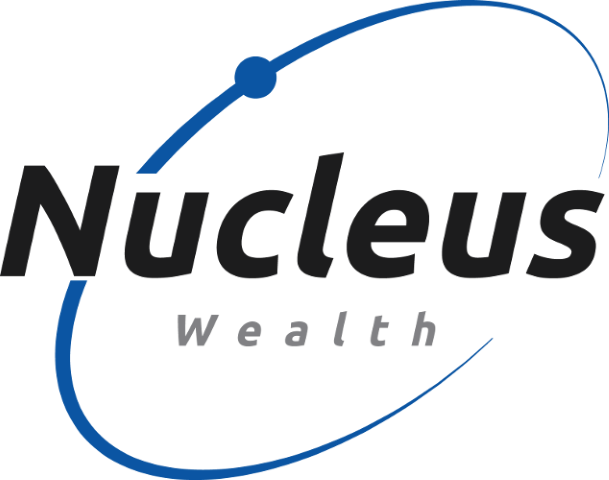 Fifteen months ago we started investing money for clients with a vision to bridge the gap in investment solutions for everyday people looking for the middle ground between cookie-cutter robo-advice and high-cost financial planning. We started investing in all forms except for retail superannuation, with the plan to offer retail superannuation shortly after launch. 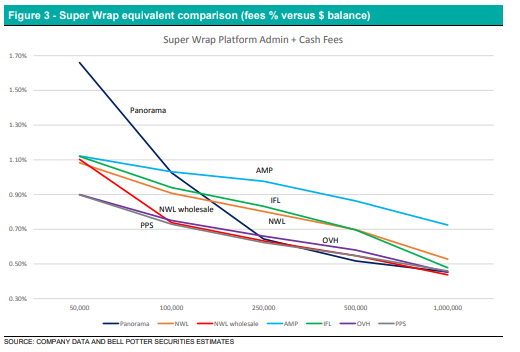 Unfortunately, our chosen platform (Linear) was taken over within months and have not been adding any more superannuation managers while they build a new product. Eventually, we tired of waiting, went back to market and (finally!) we can now offer everyone the opportunity to invest superannuation in our funds. We believe everyone needs a core or nucleus of investment assets that are high quality, lower risk and well-diversified. For some investors, this makes up a smaller part of their portfolio, and they surround the nucleus with a range of higher risk assets like small capitalisation stocks, hedge funds, high yield debt or private businesses. Other investors are content for the high quality, lower risk and well-diversified part of their portfolio to make up the bulk of their investments. In our tactical funds, we stick to cash (both local and international currencies), Australian Government Bonds, and the largest 1600 companies in the world (equivalent to the top 70 Australian stocks). Our investment process is biased toward quality stocks. We view this as the ‘nucleus’ of a well-run portfolio. The surest way to lose the next war is by preparing your troops for the tactics used in the last war. 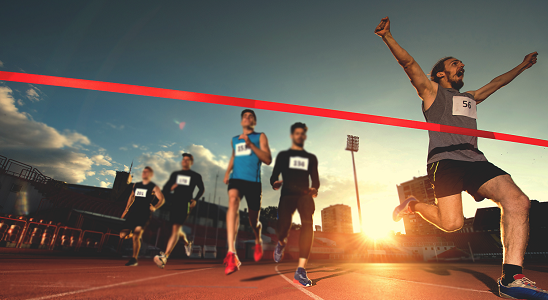 Investing is no different, and the sectors that drove performance over the last decade will not be the sectors that drive performance over the next decade. In Australia the last 20 years have been dominated by twin booms, first a mining boom, following by a housing boom. Every 30 to 50 years, commodity prices boom. They are once-in-a-generation events and lead to rapid expansion and huge amounts of capital expenditure. Every 20 to 30 years, housing construction booms – a great source of employment for the construction sector, income for the real estate sector, profits for the finance sector and tax revenue for government coffers. But that was the story of the last decade. As these booms fade, you need a portfolio designed for the next decade, not the last. Our portfolios to date have been focussed on a diversified global portfolio. It is late in the economic cycle and our performance (see below) has been achieved in spite of holding elevated levels of cash and bonds to hedge against downward movements. In the past two weeks, these holdings have helped to dampen the downside from volatile markets. We have chosen to use separately managed accounts rather than a unit trust as it offers our clients significant advantages in tax, transparency and customisation. While we welcome self-managed super funds, we are hopeful given the above benefits, many investors will find they will never need a self-managed super fund as most of the benefits are included in separately managed accounts. As we get bigger we expect to be eligible for lower platform fees. We will pass on any fee reduction to investors. Typical platforms give you historical information about your portfolio, ours gives you detailed information about the future – how is the portfolio positioned, which stocks or bonds do you own, why do you own each stock, which stocks have you chosen to exclude due to ethical concerns and what do we expect to happen. We also blog frequently, podcast weekly and have semi-regular conferences. Income – we blend our portfolios to create a mix appropriate for your income requirements and can offer regular payments to your bank account customised to your needs. Our product has not gone unnoticed in the industry. We were a finalist in the fintech business award as “Financial Advice Innovator of the Year” the IFA excellence awards “Innovator of the Year”. We strive to keep your fees down by providing transparency and a flow of information far in excess of most fund managers. We offer advice as to which of our products are best for you, but we recognise (and the Royal Commission has driven home the point) that we are conflicted and so can’t advise you as to whether you should invest in our fund over a competitor’s fund. For this reason, acknowledging that many investors want and need a traditional face to face advice relationship, we can partner with a range of planners. Click here for a full list of our performance reports. 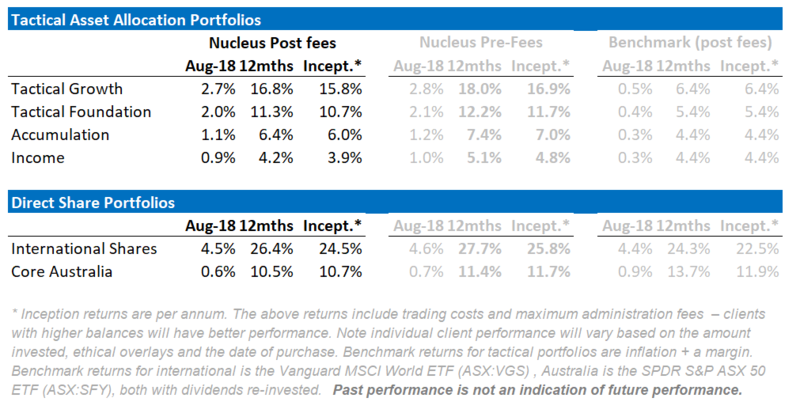 Nucleus Investment Insights – Volatility Explosion!